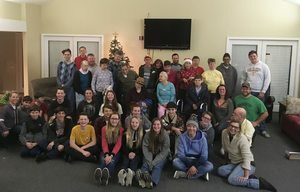 Forest Hill Youth meet for Sunday School on Sunday mornings at 9:30 AM each Sunday in the Youth Building or “The Well” beside Forest Hill Baptist Church. They also meet each Wednesday at 6:30 PM for Bible Study. Check the church’s Events Calendar for upcoming Youth events or contact Matt White, Youth Minister, at wmatt17@yahoo.com.